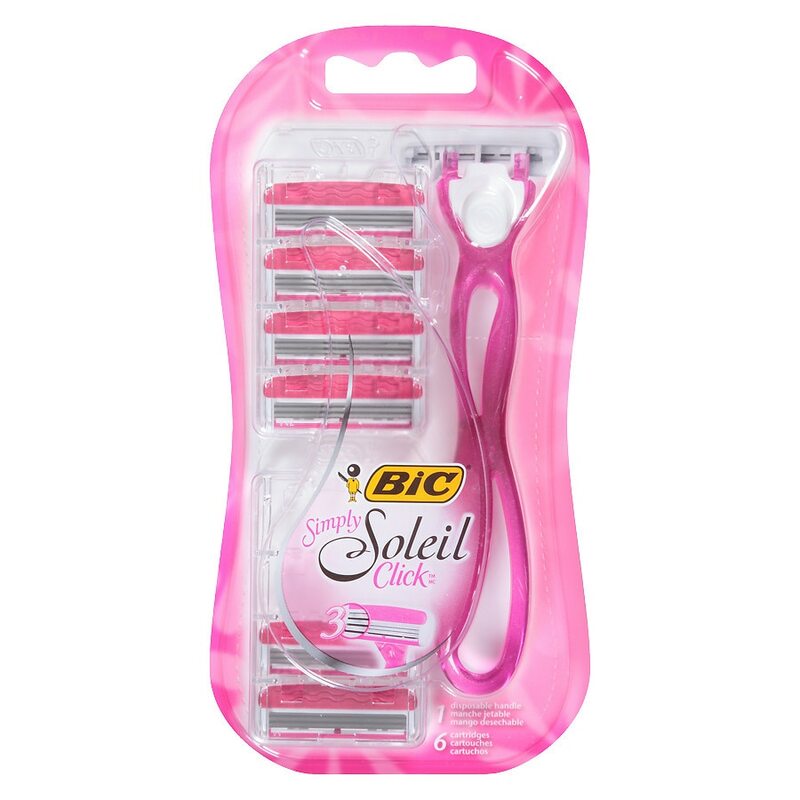 ¿The BIC Simply Soleil Click razor is true shaving innovation! It features one disposable handle and six snap-in cartridges – each with three blades, a pivoting head and a Soothing Moisture Strip® enriched with cocoa butter for ultimate comfort. Each package contains a new handle and 6 cartridges. Bic performance policy (US and Canada): If not fully satisfied, return to Bic for product replacement. Click handle into cartridge, keeping pink lubricating strip on top. Dispose of handle when finished.